Premium Quality, Custom Postcard Printing Services. Need a Free Custom Postcard Printing Quote or help with your online Printing order? Call us at (702) 589-6429 to discuss Postcard Printing options. 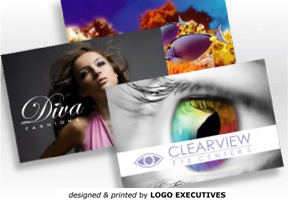 Excite your customers with Premium, Full Color, Custom Printed Postcards. Full Color Postcards are one of the most effective and inexpensive ways to target market new business prospects! High quality, superior fidelity postcards stand out from all the others. Add UV Gloss Coating, as an option, for that extra "pop" to your printed postcards and your message will be sent to your current customers loud and clear! Choose Aqueous Matte Coating for a luxurious quality postcard that will dazzle your prospective clients! Design your own custom postcard or have us create a professional postcard design for you. Postcard Printing and Mailing Services. Whether you need 50 or 150,000 postcards, you'll find the best quality and consistency in our printed postcards. Our custom full-color postcards are printed on top-of-the-line digital and offset presses ensuring you receive the best possible postcards at an unbelievable price. We can even mail your postcards for you with our mailing list and direct mailing services. Online & Nationwide Postcard Printing Services. LOGO EXECUTIVES offers Postcard Printing and Mailing services nationwide, with printing facilities in Las Vegas, NV | Los Angeles, CA | Phoenix, AZ | Dallas, TX | Chicago, IL | Dayton, OH | Newark, NJ | Miami, FL | Toronto, CANADA.